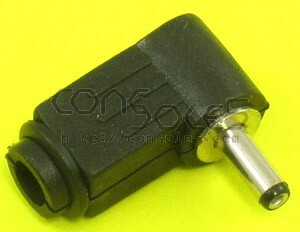 Replacement right-angle DC plug for NEC TurboExpress & Atari Lynx AC adapters, no strain relief. TurboExpress AC adapters frequently suffer from bad internal connections. This replacement connector allows you to restore a defective AC adapter, OR adapt a 3rd party power supply for use with any of the systems listed below. Features a molded strain relief, which many replacement plugs lack. 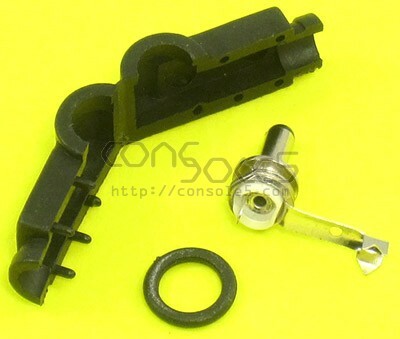 This is a less expensive version of the other right-angle connector we offer. This version does not feature a molded strain relief.